For a documentary film to make a difference, a solid strategy for audience engagement and strong partnerships are key. Filmmakers often lack time to do this work themselves or the expertise and the funds to pay for it. Emerging artists, creators of color, and other underrepresented artists can face the biggest hurdles, despite the potential of their projects. Impact Kickstart is a program offering in-kind strategy development to underrepresented documentary makers with feature films in progress that hold great promise to catalyze action to address critical issues of our time. 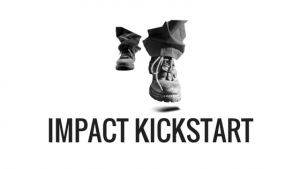 Up to four filmmakers receive an Impact Kickstart from Working Films each year. We strongly encourage artists of color, women, LGBTQ, gender nonconforming, and differently abled creators to apply. Selected filmmakers will work with Working Films to customize a package of services that best meet the needs of their individual project and will leave them well positioned to fully fund and carry out an impact campaign. With generous support from the John D. and Catherine T. MacArthur Foundation, we are pleased to announce the 2019 Request for Proposals (RFP) for the Docs in Action Fund. 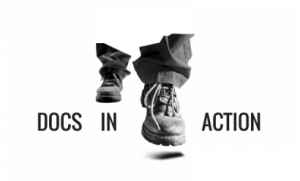 Now in its second year, Docs in Action funds the production of short documentaries to expand the canon of films available for grassroots groups and NGOs to enhance their programs, extend their reach, and move their missions forward. Under this RFP we will award at least two grants of up to $30,000 each in support of the production of short non-fiction films (up to 30 minutes in length) that can support immigrants’ justice organizing and efforts to end racist attacks on immigrant communities. We offer consultation and strategy development to filmmakers, resource nonprofits and grassroots groups with powerful stories, and partner with foundations' to train their grantees using documentaries that make a difference.